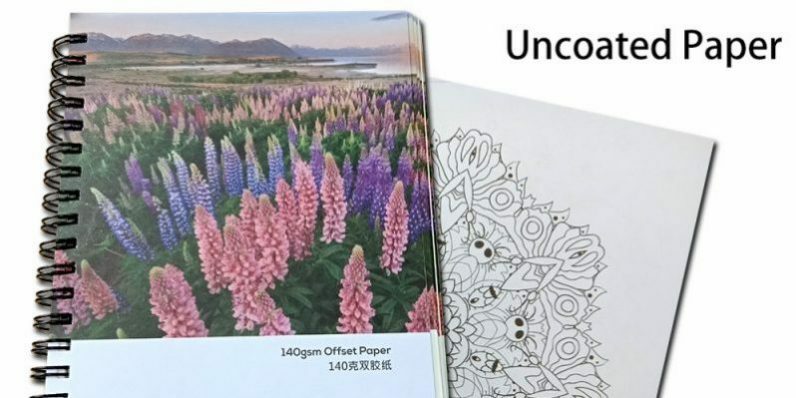 Uncoated paper is also called wood-free paper or offset paper. It is manufactured using wood mixed with chemical materials. The uncoated papers are used for offset printing text books, magazines and so on. Uncoated paper looks natural and it is non-glare surface. They are good at writing and reading. So there are more student books and note books are using uncoated paper for interior. There are different thickness offset paper. It includes 70gsm, 80gsm, 100gsm, 120gsm and 140gsm offset paper in our stock. The other paper thickness is available. If the order is large quantity, we can do custom paper weight. In common, 70gsm, 80gsm, 100gsm offset paper are used for student book interior paper. 120gsm offset paper is used for envelope or brochure cover. Hardcover end sheets, catalog cover or brochure cover can use 140gsm offset paper. We provide free uncoated paper sample manual. If you need, please contact our printing expert right now!